Conditions: Light rain all day, aka perfect winter day. 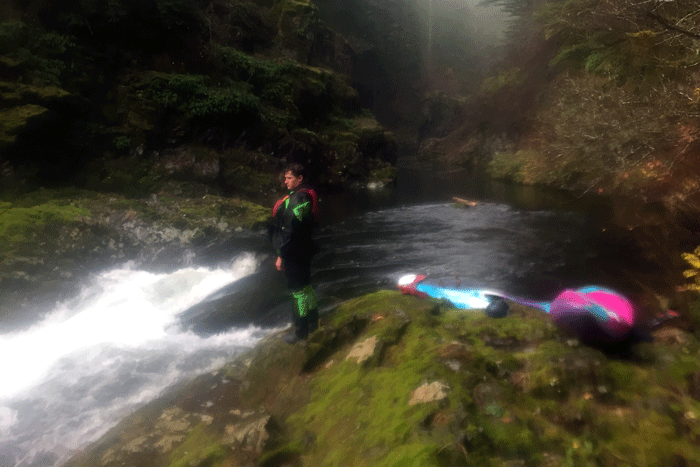 The East Fork of the Lewis River is a classic class 4 PNW creeking run. It is known for its two, somewhat easy, waterfalls. For some, these are the first waterfalls they ever run. 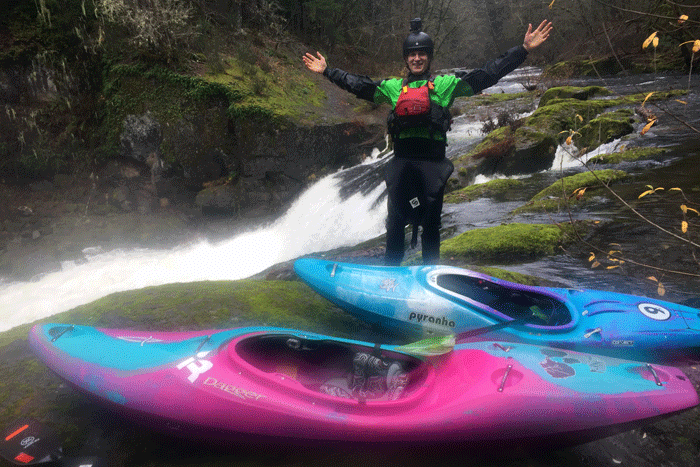 The East fork section that we kayak starts just above Sunset Falls. To get there all you need to do is type in "Sunset Falls Campground" and your GPS will direct you there. Once you are at the parking lot and see the waterfall, drive up about a mile farther and park where you see a pullout on the right. Just enough room for a couple cars. From there you just walk right down to the creek. The East Fork of the Lewis is best run from 700 cfs to 3000 Cfs. We had about 1500 which was great. There is about a mile of easy class 2/3 before sunset falls. 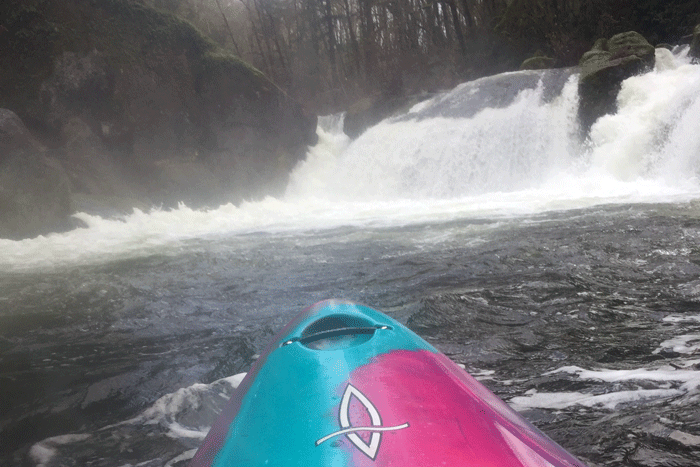 There is an easy auto-boof at flows over 1200cfs in the middle of the falls. River left is always open, and river right opens up after about 1800cfs. After the falls there is some fun class 3/4 until you get to the gorge. Here you have the rapids Screaming Left, Dragons Back, and Johns Swimming Hole. All can be scouted. Scout Screaming Left and Dragons Back on river left and after those get out again to look at Johns Swimming Hole. 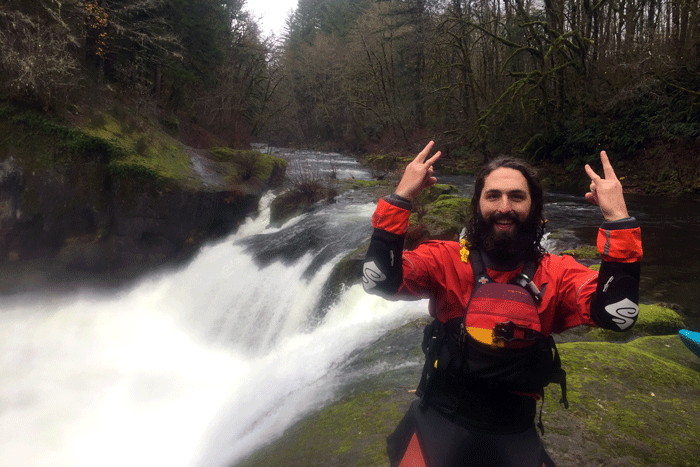 After these rapids, you have a least 2 miles of fun class 3 until you get to horseshoes falls. This is also a fun slide the gives an auto-boof. (I advise trying to get your bow down because if not it can hurt your back a little bit.) There are also many different lines that open up as flows increase. My only strong suggestion is not to run the far river left shoot. When you look at it you will agree. 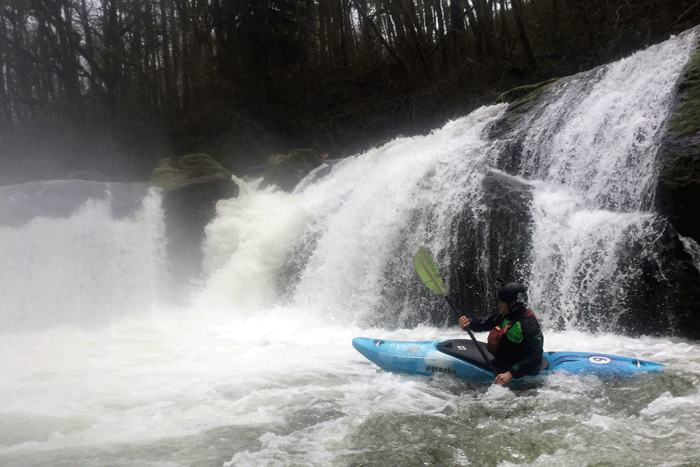 Overall, the East Fork of the Lewis River is a classic Washington run only an hour from Portland. It also holds the Northwest Creaking Competition there every year. If you've never been, I suggest finding a local to show you the way. Be safe!